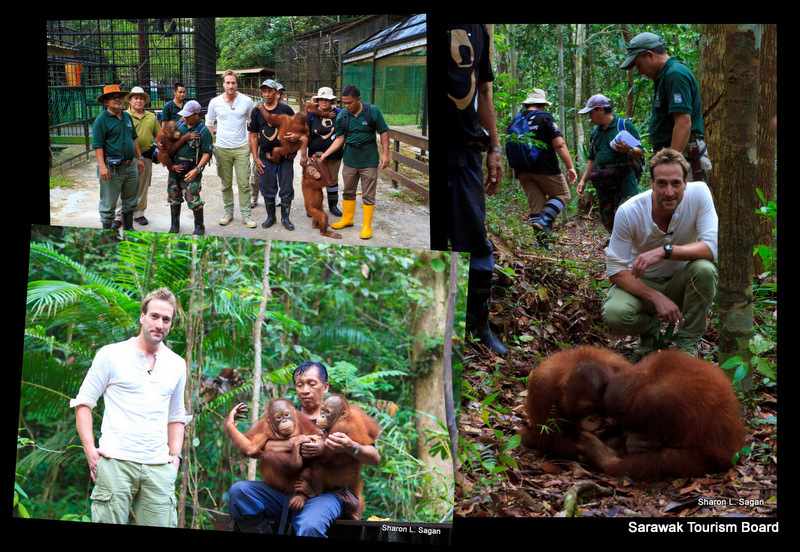 Join adventurer and explorer Ben Fogle as he visits orangutans at the Matang Wildlife Centre in Sarawak, Malaysian Borneo. Matang is located close to Sarawak’s capital city, Kuching, and is “one of the most beautiful rainforest regions on the planet” according to Ben. It is fascinating to watch Ben being taught how to look after young orangutans – the Centre has a tiered system of teaching the orangutans the skills they need to live back in the wild, one day at a time. The Heart To Heart Foundation runs several different eco-tourism programmes which involve members of the public and our film shows Ben helping feed the orangutans. At the end of his visit, Ben receives his certificate and T-shirt for all his efforts. Visiting Matang is definitely a “must do” activity when visiting Sarawak. Sarawak Tourism has launched the first in a series of videos by adventurer Ben Fogle who is traveling through Sarawak. The first video to air on YouTube features Ben visiting one of Sarawak's natural wonders, the Gunung Gading National Park. You can see Ben's travel tips in this video, including how to catch a glimpse of the rare and giant Rafflesia flower and how to navigate the waterfalls in the park. The Sarawak Travel YouTube channel will be updated over the coming weeks with follow-up reports from Ben as he makes his way around more of Sarawak's attractions. The next in the series of films will premiere in a few days and will see Ben visiting with the orangutans at the Matang Wildlife Sanctuary. Ben is a presenter, writer and adventurer. His achievements include racing 160 miles across the Sahara desert, rowing the Atlantic Ocean in 49 days and crossing Antarctica in a foot race to the South Pole. He is an ambassador for WWF, Medecins Sans Frontier and Tusk, a fellow of the Royal Geographical Society and the President of the Campaign for National Parks. Located in Malaysian Borneo, Sarawak offers unforgettable travel experiences. Visitors can see amazing wildlife, trek through the rainforest, swim and dive in crystal clear waters as well as enjoy superb local cuisine and accommodation. 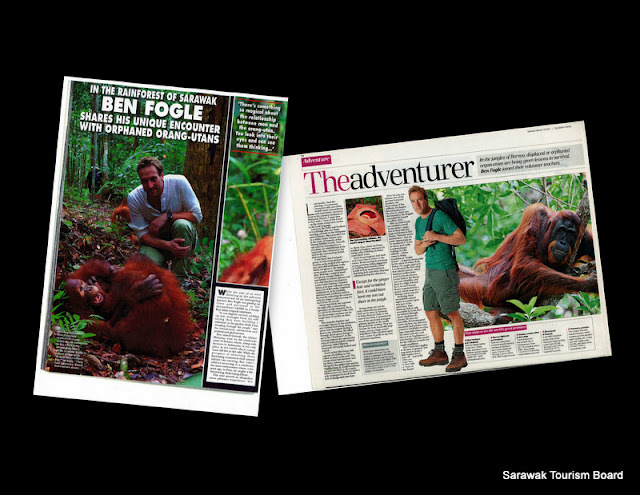 Sarawak Tourism will be showing all eight of "Ben Fogle's Sarawak Adventures" so please check back at www.sarawaktourism.com regularly to catch them all and see why, when it comes to Sarawak, "Adventure Lives Here!"